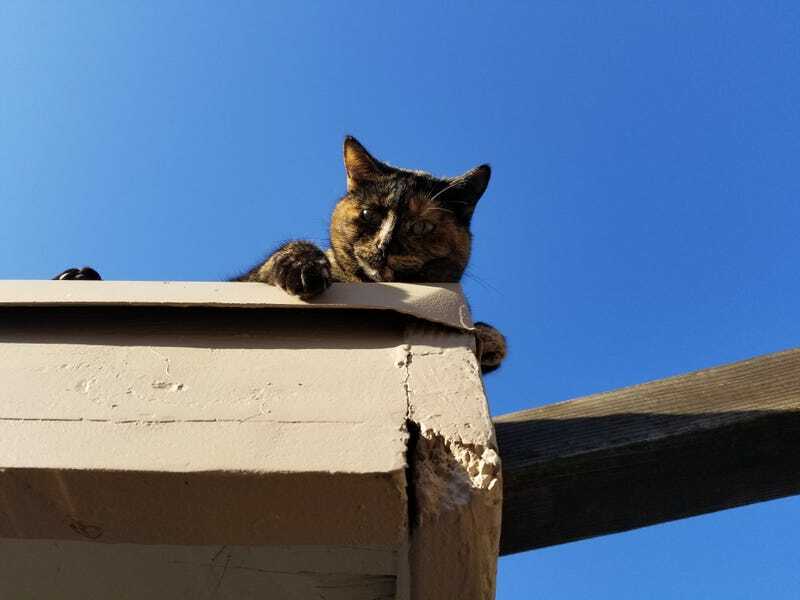 Pumpkin is playful today on the roof of my carport. Top has been up. I am reluctantly deciding against driving it to Sacramento today.